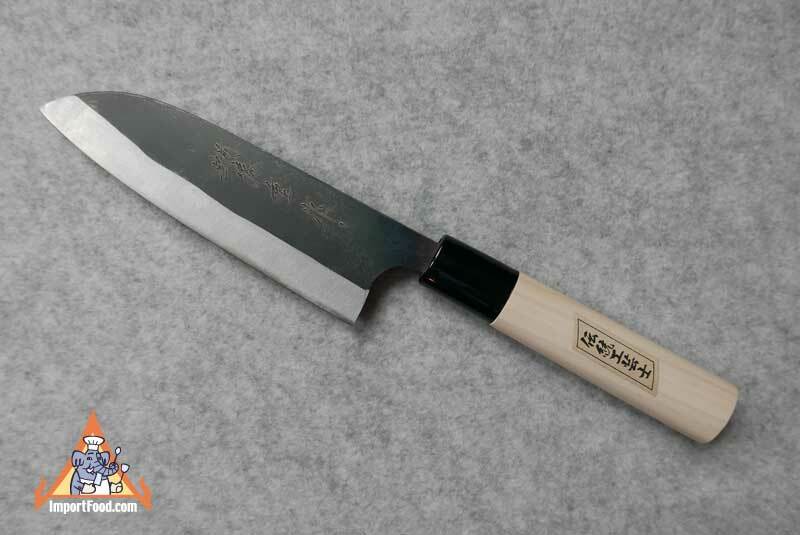 Hand Crafted Santoku Knife, Magnolia Handle, Japan, 12.5"
The knife is made of hard carbon steel, sharpened on both sides. The handle is Japanese 'magnolia' wood but it's really more like a fast-growing poplar grown in Japan. As you can see, there is a hard black plastic band at one end of the handle. As you can see, there is a hard black plastic band at one end of the handle. The blade is 7" long, and handle is 5.5" long. Total length 12.5". Made in Japan.